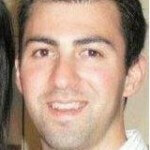 The owner of Zokay Entertainment (Alex Dreyfus) has just launched a new “Fantasy Poker Manager” game on Facebook. In the world of poker we haven’t seen too many companies try to work the fantasy sports angle in the past. Mr. Dreyfus who also owns the Global Poker Index (GPI) wants to bridge the gap between live, online and social poker. The app on Facebook is completely free to play, but since the new app just launched there also aren’t any prizes to be won yet. 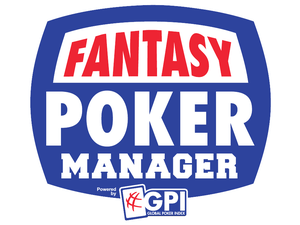 When you first sign-up to the new game on FB you’ll be entered in the GPI League against everyone else. You can see how you rank amongst the rest of the competition, but I think the best feature is the ability to set-up private leagues against friends. Initially new players start with $1M in virtual money and they have to purchase 10 poker players to complete their team. As the league progresses players have the ability to earn achievements (52) that unlock special rewards like more money and players. The difficult thing about running a fantasy poker game is that there are often not that many events. This game will have events from all of the major live poker series including the WSOP, EPT and WPT plus many of the smaller live poker tournaments. To score points you simply need your players to finish in the money in live poker tournaments. In between tournaments you’ll be able to edit your team by buying/selling players, but you can’t have more then the maximum number of players at anytime. All of the stats will be coming from the GPI, which is good news because they have the best results database. One of the other problems with other fantasy poker games is that they don’t have a results database to utilize for the scoring. There are a number of other important rules to understand before you begin playing, but from what I’ve seen based on quickly playing with the Facebook app this game is going to be a huge hit with poker players around the world. Lots of professional poker players run fantasy leagues, but it’s a ton of work because they have to do the work to ensure that scoring is accurate and to ensure players don’t break any rules. However, this new FB game by GPI does everything for you. It’s a shame that there are no plans to offer real money fantasy poker leagues in the foreseeable future because fantasy sports are legal everywhere including the USA. The good news is you can set-up free private leagues and play with your friends. You can’t play for real money using the game, but you can set-up a buy-in in private leagues with your friends. If you’ve always wanted to play fantasy poker with your friends now you can play. Z.E. also plans on releasing a mobile app for the game soon.